Drawing on the combined heritage of legendary Soundcraft quality and the powerful and intuitive Vi Series digital live sound mixers,the Si Performer brings unparalleled mix power and performance to small format digital live sound mixers. Sitting where a plethora of gear once was,the Si Performer delivers the equivalent of 448 rack units of DSP including sophisticated 4-band fully parametric EQ,full dynamics processing,a comprehensive range of output options,totally flexible routing and,as with all Soundcraft consoles,an unmatched range of options to fully integrate the Si Performer into an existing system or become the centre of a thriving new installation. The Si Performer also takes mixing out of the dark with powerful digital audio mixing facilities married to a DMX 512 controller allowing for the first time the mixing console to also run the lighting rig! 'Music & Lights; these have been partners in the entertainment and production industry since amplified sound met the electric light but until now even the simplest lighting setup would require a separate lighting controller console,road case and somewhere to put it; Soundcraft Si Performer changes everything. Empowering the console with a DMX interface,the Soundcraft Si Performer is able to utilize the power of motorised faders,Soundcraft FaderGlow™ and a console automation system to provide a flexible automated lighting controller ideal for schools,churches,touring theatre companies and conference productions. The Si Performer 1 features 16 local recallable mic pre amps and 8 stereo inputs along with two ViSi Connect™ option card slots with an additional 128x96 input/output paths (one 64x64 expansion slot and another 64x32 expansion slot). Able to utilise Si series ViSi Connect™ option cards,the Si Performer gives a large range of additional digital I/O connectivity including the MultiDigital Card (Firewire/USB/ADAT),BSS Digital Audio Bus (BLU Link),Dante™,CAT5 or optical MADI,AVIOM™,CobraNet™ and others with a massive mix capacity of 64 mono inputs for a total of 80 inputs to mix. Each input channel has dedicated processing for high pass filter,input delay,gate,compressor and parametric EQ. Keeping you in control are 8 VCA busses,8 mute groups,FaderGlow and colour backlit name displays on every channel so you are never lost. All Si Performer consoles have busses and output processing to match the versatility of the inputs; the 14 aux/group mixes can be configured as 14 mono mixes or 8 mono plus 6 stereo mixes,whilst the matrix mixes can be mono or stereo as needed. The bus and matrix mixes are complemented with four mix busses dedicated to the internal Lexicon FX processors and left,right and centre busses with options for mixing left/right + mono/centre or left/centre/right (LCR). Each bus features a compressor,4 band fully parametric EQ,graphic EQ and delay always available all of the time. To complement the channel and bus processing all Si Performer consoles integrate four Stereo Lexicon FX processors based on the MX400 providing a wealth of sounds,user adjustable parameters and dedicated tap-tempo keys. As the FX are hardware based use of all the effects even on the most demanding programmes do not affect the processing in any way and all dynamics,PEQ and all bands of all 31 graphic EQs are available all of the time. Flexible onboard and expansion I/O options ensure the Si Performer integrates effortlessly with other system components; along with the 16 mic inputs there are eight analogue line inputs,AES in and out,16 analogue line outputs,headphone monitor out,a 64x64 channel expansion slot and another 64x32 expansion slot each capable of utilising any of the Si series option cards including CAT5 or optical MADI. The MADI card,as well as being an interface to multi-track recording systems or plug-in systems like Waves,enables linking the Si Performer to any of the Soundcraft or Studer stageboxes to extend the I/O power and flexibility; but all this power is nothing without control and here the Si Performer excels with a comprehensive but 'simple to use' control surface. As you would expect from any Soundcraft digital mixer the facilities are extensive and include legendary audio quality courtesy of latest generation EMMA™ DSP processors,the same DSP platform that has helped propel the Si and Si Compact series to industry standard status; this power united with reliability and flexibility puts the Si Performer in a class of its own. 2 ViSi Connect™ option card slots with 128x96 input/output paths for expanded digital I/O including the MultiDigital Card (Firewire/USB/ADAT),BSS Digital Audio Bus (BLU Link),Dante™,CAT5 or optical MADI,AVIOM™,CobraNet™ and others. TOTEM™ - The One Touch Easy Mix; press a single key to mix to an AUX,FX or Matrix bus,the surface and monitoring instantly reconfigure to allow instant mixing to your chosen bus on the faders. Soundcraft FaderGlow™ - Illuminates the fader slots according to function with clearly defined colours for FX,Stereo,Linked Mono,GEQ,POST Fade Aux,PRE Fade Aux; you'll never be lost again! Security Lockout - Lock the whole console or just selected elements,manage the security with the users and profile settings. Personal Monitoring Interface - When used with the Si BLU link option card,the Si Performer is a perfect partner to the dbx PMC16 Personal Monitoring System ,using simple Cat5 cabling for easy setup. D.O.G.S. (Direct Out Gain Stabiliser) - Prevents manual change of a mic gain control affecting direct out levels,perfect when 2 consoles share a stagebox or when recording the channel direct outputs. 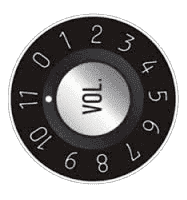 Global Mode Controls - A row of rotary controls above each fader assignable at the touch of a button to be GAIN,PAN or HPF for all of the inputs allowing instant access to the core functions. Copy & Paste - Copy whole channels,busses,mixes,Lexicon™ effects,a single part such as the EQ or multiple parts like the channel gate and compressor. Instant Access Keys - Dedicated keys on the front panel for STORE,RECALL,NEXT,MUTE 1-8,TAP TEMPO and more negate the need to dive into screen & context menus. Function Focus - Whenever a control is moved or SELect key pressed the screen displays information about the channel identifying the absolute value of the controls and the channel name,number etc.